Most people agree, you basically have to be insane to be a hockey goalie. Who, in their right mind, would voluntarily be hit with frozen-hard vulcanized rubber pucks shot at 100+ mph? And to think they used to play without helmets! For this, and numerous reasons below, we all understand goalies are a breed of their own. The best part is we don’t even have to prove it, they do it for us. Tendys are batsh!t crazy! Including badass goalie pad designs. Some have unique rituals and superstitions. Sometimes they prefer alternative methods of making a save. …when they’re not fighting them! 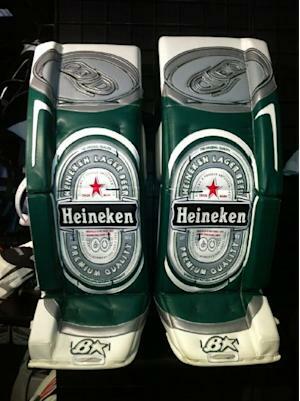 Who knew goalies could dangle…. Yes me and my fellow goalies are crazy, love having pucks chucked at me all in the name of hockey!